What went wrong with Germany’s defence of the World Cup? Germany have been knocked out of the 2018 World Cup in Russia, at the group stage, after suffering a 2-0 defeat to South Korea. The defending champions, who beat Argentina 1-0 in the 2014 final, looked lost on the pitch and without a plan as the Koreans deservedly eliminated them from the tournament. Manager Joachim Loew had no complaints after the game, admitting his side deserved to lose, which may also be followed by him announcing his resignation in the coming days. Germany need a fresh approach if they are to bounce back in Euro 2020 and the 2022 World Cup, and Loew didn’t deny he was considering his future. Germany manager Joachim Loew (right). Germany finished bottom of Group F, with just one point from three games. The defending champions lost their opener 3-0 to Mexico, beat Sweden 2-1 in their second game and lost 2-0 in their final outing to South Korea. Germany have scored the fewest amount of goals in their group and have conceded the most. It’s been a wretched campaign, but not a surprise to those paying close enough attention. 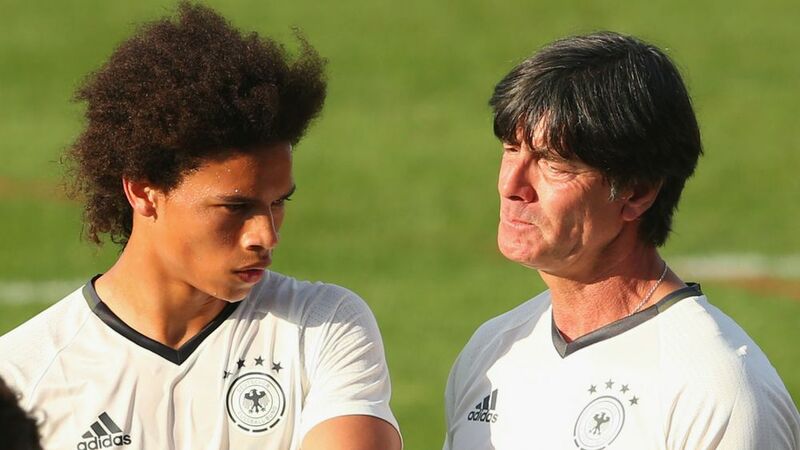 After a young Germany side won the Confederations Cup in 2017, Loew had a decision to make whether to stick or twist with his youth philosophy for the World Cup the following year. He opted against keeping the youngsters in the squad and Germany’s form spiralled in the lead up to the tournament. Germany failed to win five of their six friendlies before the World Cup and carried on such poor form in Russia. There have been rumours of problems behind the scenes before the World Cup which haven’t gone away as the tournament commenced. Germany held an intense crisis meeting after their Mexico defeat, Mats Hummels was critical about an imbalance in the team and lack of defensive cover and Manuel Neuer admitted: “There has never been such strong words within the team”. Regardless of what was said, it clearly didn’t work and big changes will now be undertaken in the national team.